This summer the Port Townsend Marine Science Center is focusing on people and communities who are empowered to end plastic pollution in our oceans and reign in climate change. Please make a gift today to ensure that people everywhere can join a journey of stewardship through the programs offered by the Port Townsend Marine Science Center. The goal is to raise $12,000. Gifts received by August 31 will be matched dollar for dollar up to $5,000. Longtime Quimper Peninsula residents and newcomers alike have been watching and admiring the feats of Port Townsend native Eliza Dawson. 2018 Anne Murphy Ocean Stewardship Scholarship recipient Eliza Dawson. In 2009 when she was in fifth grade, Eliza was one of several children and adults who assembled the bones of a gray whale for display at the Port Townsend Marine Science Center. When the body of "Spirit" had washed ashore on the North Shore of the Olympic Peninsula in 1999 at the tender age of 1.5 years, his death was a mystery. skeleton of Hope in 2011 at the PTMSC. 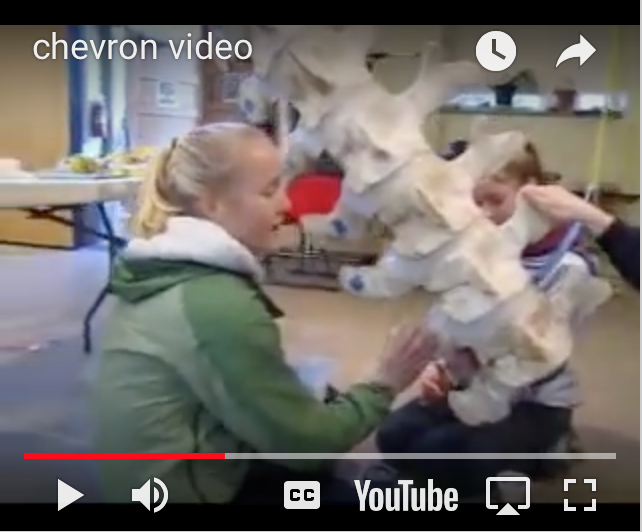 Then in 2011, Eliza was a member of the volunteer team that articulated the skeleton of the female orca that is on display in the orca exhibit in the PTMSC museum. “Hope” washed ashore in 2002 and a necropsy revealed she had the highest concentrations of PCBs ever measured in a marine mammal. In a 2018 Seattle Times interview Eliza recalled, “That was a wake-up call for me.” She wondered, how could a whale living in the pristine waters around Port Townsend be so full of deadly toxins? From that moment forward, her commitment to raising awareness about the dangers of ocean pollution and climate change was unwavering. 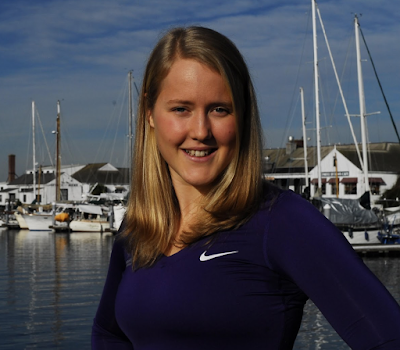 Recently Eliza— now 22 and a graduate of the University of Washington’s College of the Environment —garnered national attention when she decided to join a rowing team competing in The Great Pacific Race with Team Ripple Effect to highlight climate change and the Great Pacific Garbage Patch. The largest of five gyres of plastics floating in the world’s oceans, it is estimated to cover an area twice the size of the state of Texas. 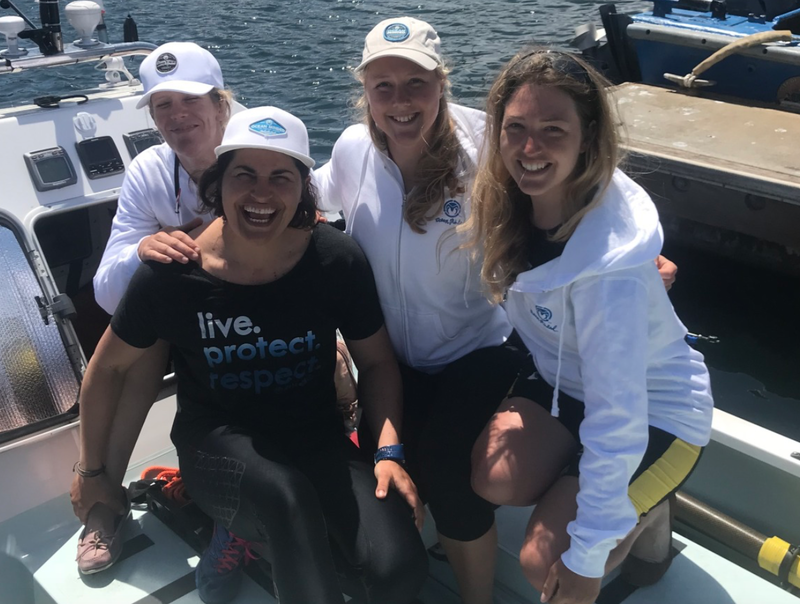 Eliza left Monterey, Calif., with her three crewmates on June 6, hoping to set a new world record for an all-women crew by rowing to Hawaii in less than 50 days. Even though the team was forced to end their quest early due to the serious medical condition of one of the crew members, Eliza became even more determined to bring the perils of climate change to the forefront of public awareness. Her new plan? Cycle 400 miles through the remote Alaskan and Canadian wilderness to view rapidly receding glaciers, bountiful wildlife and scenery. “I remain determined to bring awareness to the impacts of climate change and I am looking forward to documenting my cycling journey,” she wrote in her blog before departing. Eliza’s grueling and challenging journey was a success. 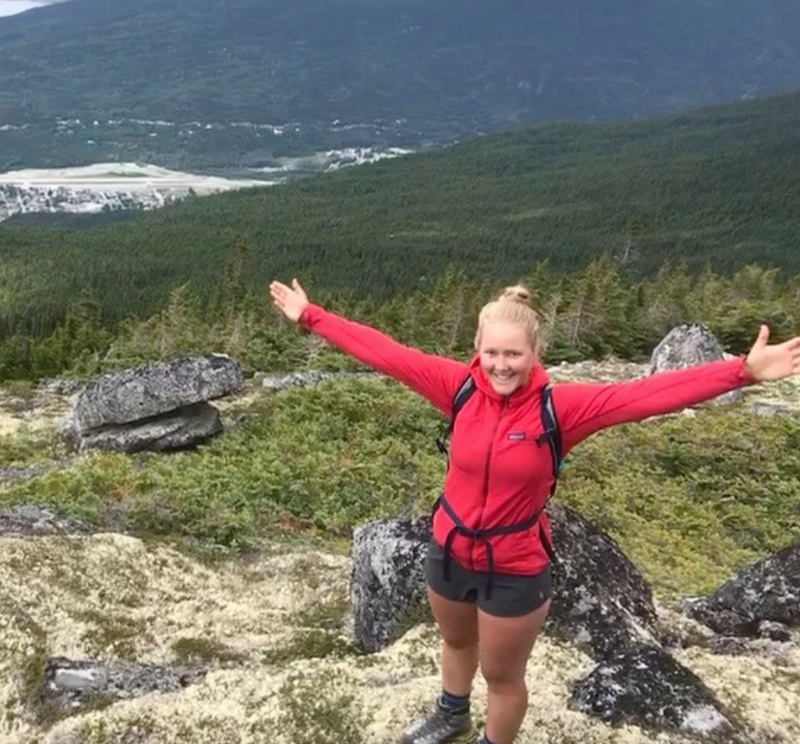 She and her teammate arrived in Skagway, Alaska in mid-July. 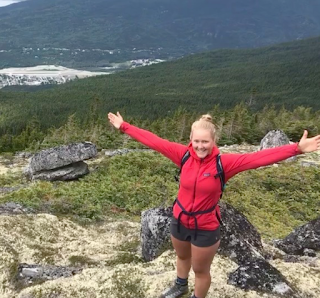 This fall, Eliza will begin a PhD program in climate science at Stanford University, where she will use models and radar observations to improve our understanding of ice sheets and aid in improving sea level rise predictions. Like many across this country and around the world, Eliza is standing up for change. In so doing, she is empowering all who care about climate change and ocean pollution to make a difference—in ways big and small—every day. Together with people from all walks of life who are are ready to take action, we can continue Eliza’s inspiring example by nurturing a stewardship ethic in each and every one of the thousands of people who visit the PTMSC each year.